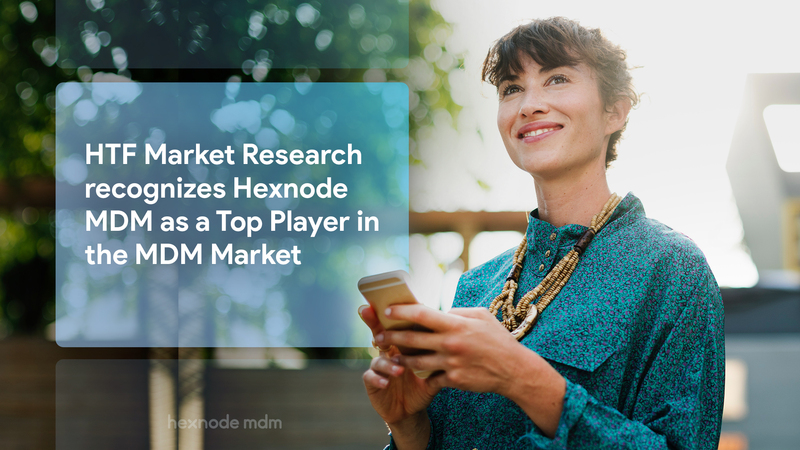 WALNUT, Calif., October 10, 2018 – Hexnode MDM has been recognized as one of the top players in the MDM market by HTF Market Intelligence in their MDM market research report. This report mainly focuses on and talks about the global kiosk software market and analyzes the kiosk software development status. The research report specifies the trends of kiosk software in the Global market and their related forecasts in the United States, Europe, Japan, China, India, and Southeast Asia. One of the highly acclaimed features of Hexnode MDM is the Hexnode Kiosk. From the security point of view, Hexnode Kiosk is highly recommended. Setting up the device in kiosk mode restricts the device to a purpose-specific environment in which the device has access to only the essential applications. Hexnode MDM enables over the air conversion of Android and iOS devices into kiosk as well as their complete management. Hexnode MDM supports a wide range of features that clearly stand-out. Content management enables the enterprise to distribute any content to the enrolled devices. Expense management notifies the users when the user exceeds the allotted data usage limit as set by the organization. Location tracking is yet another feature that locates the geographical location of the managed mobile devices. Remote control feature allows the admin to remotely control the device and access anything in it. The App Management feature allows the admin to install or uninstall apps and set suitable configurations for the app. FileVault in Mac, BitLocker in Windows and firewall configurations in macOS are additional security options. Moreover, Hexnode MDM integrates with Samsung Knox, LG GATE, Kyocera, Apple’s DEP and VPP, and Android’s Zero-Touch Enrollment and Android in the Enterprise to deeply enhance device management.